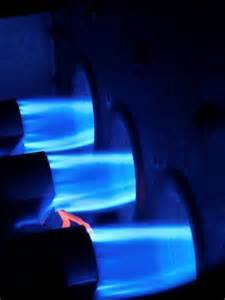 Does your pipework go bump in the night? Does your household pipework go bump in the night? Are you irritated by strange squeaks and bangs coming from your plumbing but are unsure of the cause? "Water hammer" and other pipe problems are not only annoying but, if left unattended to, can cause long term damage to your water systems. This week the On Tap team have set out to demystify the various clunks and clatters you might hear coming from your waterworks by compiling a list of possible causes, helping you to restore peace and quiet in your home once more. As the name suggests, "water hammer" is a series of hammering or banging noises which sometimes come from your plumbing pipework when a valve in the system is turned off quickly, for example, when a toilet, washing machine or dishwasher rapidly shuts off water flow. Modern lever operated or rapid shut off taps in kitchens and bathrooms can also be a significant source of water hammer. When water comes to a sudden stop in pipes, the result can be a shock wave which causes pipes to vibrate and shudder. Over time, water hammer can prove damaging to plumbing joints, particularly where valves are already worn, and can even cause pipelines to break where the pressure is high enough! Solutions to water hammer often involve adding air traps a.k.a. shock arrestors to plumbing systems near valves which act as dampeners, absorbing the potentially damaging effects of moving water before it has the chance to slam against the end of the pipe. As hammer is also exacerbated by inadequately supported pipework, it's also important to ensure that mains pipework is secured at no greater spacing than every 2 metres. When undertaking this task, don't forget about any underfloor and boxed in pipework too! If you're greeted by clattering sounds whenever you turn on the water, there's a good chance your pipes are banging against something. The easiest way to discover the source of the noise is to watch your pipework when you turn on the taps and look out for movement. Once you've discovered what the pipe is striking against, the trick is to silence it with some padding or foam insulation. If the problem pipework is inside the walls, this can still be achieved by cushioning it at each end at the point that it emerges. Copper pipes tend to expand when hot water runs through them, causing them to rub against any surrounding wood and metal and make a creaking or ticking sound. Copper pipes begin to contract again once hot water has run through them, so the noise should stop then too. One method of controlling creaking in pipes is to try slightly lowering the temperature on your water heater, which in turn should reduce the amount your pipes expand and the associated noises. Another useful technique for this type of plumbing problem is pipework insulation, which will help to muffle the sounds of the expanding metal. While tasks like pipe insulation may be simple enough to be undertaken yourself, complex tasks like fixing water hammer really should be entrusted to the experts. To get your noisy pipework problems solved ASAP without the unwanted costs often associated with DIY jobs, be sure to use a Quality Plumber. Search for one in your local area by postcode on our website at http://www.aphc.co.uk/find_an_installer.asp. Think back to your school careers advice sessions. What options were described to you? If you're a girl, there's a good chance you were recommended to enter into a traditional female role such as teaching, healthcare or administration while only the boys were encouraged to consider careers in manual trades such as plumbing. 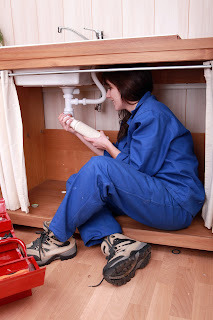 With the media constantly reporting mounting inequality in the corporate world, research by WaterSafe, the UK's leading plumbing assurance scheme reveals that UK homeowners would like to see more women taking up tools and working in trades. Tellingly, the most recent figures show that women are hugely under represented in the plumbing industry, with females constituting less than 1% of the UK's plumbers and it would appear that this issue begins in the classroom. When asked to recall their careers advice, a third (31%) of women said that only boys were encouraged to take up a trade while a quarter (24%) feel they were coerced into typical female roles. These findings were supported by a separate college study, in which WaterSafe found that nearly a half of all respondents (45%) don't feel that girls and boys are given the same career opportunities and a quarter (36%) feel that boys were pushed into more manual trade roles than them. Interestingly, despite the strong gender bias evident in the types of careers recommended to school leavers, a third of women said that they would prefer a female plumber to carry out work on their home, with reasons cited including feeling safer with a woman (37%), feeling like they wouldn't be ripped off by a female (12%), trusting advice from a woman more than that of a man (10%) and a likelihood that women wouldn't patronise them. However, perhaps the most positive finding from the survey is that four in five (77%) of homeowners surveyed said that the most important consideration when choosing a plumber, regardless of gender, is the skills they have to do a quality job. For women as well as men, plumbing can be a financially and personally rewarding career choice, making an apprenticeship a viable alternative to university for many school leavers and certainly worthy of consideration. Plumbing is a skilled and future-proof trade which will always be in demand and can be a good option for those looking for a career that they can fit around family life. Over a third of women said that if they had the chance to start out again they'd like to "take up a trade" because it offers a stable career path, so if you're a woman and think you might like to work in plumbing, don't allow traditional stereotypes to hold you back! Useful plumbing careers advice can be found on the WaterSafe "How to become a plumber" page and on the National Careers Service website. Is your installer Gas Safe? Widely reported tragedies such as the 2015 deaths of 6 and 7-year-old Robert and Christianne Shepherd as a result of a "botched and bodged" boiler in their Corfu holiday home provide us with a powerful reminder of the dangers posed by incompetent gas engineers. The Gas Safe Register, the official gas registration body for the UK, helps to prevent such incidents by ensuring that all engineers on the register are qualified to work safely with gas. But how can you be sure that an installer you've hired really is Gas Safe? Badly maintained gas appliances can lead to fatal gas leaks, explosions and, as in the case of Robert and Christianne Shepherd, carbon monoxide poisoning. Carbon monoxide is an invisible, odourless and tasteless gas that can kill quickly and without warning in just a couple of hours. The Gas Safe Register works to ensure the highest standards of gas safety and protect the public from unsafe gas work in the UK, Isle of Man and Guernsey in a number of ways. The register's national investigations team make it their mission to hunt down individuals working as gas engineers illegally and investigate all reports of unsafe gas work, as well as regularly inspecting Gas Safe Registered engineers to check that they are safe and competent to work. Another important part of Gas Safe's work involves educating consumers and raising the public's awareness of gas safety, encouraging people to "trust the triangle" - the Register's official mark of approval. For a homeowner wishing to check the credentials of their gas installer, a useful resource is the Find an Engineer service on the Gas Safe Register's website, which allows you to find a local registered engineer simply by inputting your postcode. The website also allows consumers to check a business is registered by texting "gas" and the business registration number (found on the installer's Gas Safe ID card) to 85080, with a text message then sent to confirm whether the business is registered. Consumers can also freephone Gas Safe's helpline on 08004085500 and can request a photo of their engineer to be sent to their phone, providing their engineer has signed up to the service. Anyone exhibiting the key symptoms of carbon monoxide poisoning, which include headaches, dizziness, nausea, breathlessness, collapse and loss of consciousness should seek medical help immediately or in the case of an emergency call the Gas Emergency Helpline on 0800111999. It only takes a matter of minutes to check your gas installer's credentials, and it could well save the lives of yourself and your family. Can you afford to take the risk? Gas Safe Registered members of APHC can also be searched for on the Association's Find An APHC Installer facility at http://www.aphc.co.uk/find_an_installer.asp. The spectre of Zika has been impossible to ignore in recent months, with images of affected babies regularly covering our TV screens. While relatively little was known initially about the cause of this disease, new research now indicates a strong link between the spread of Zika and the poor water and sanitation services that are widespread across Brazil and other parts of Latin America. Zika, which first came to the world's attention in October 2015, is a virus which is potentially linked with both microcephaly (causing babies to be born with abnormally small heads) and Guillain-Barre syndrome (a neurological condition) as well as other mosquito-borne diseases. 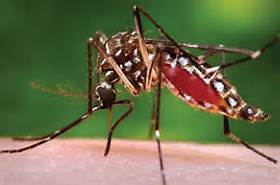 Like dengue, yellow fever and chikungunya, Zika is spread by the Aedes aegypti mosquito, which breeds in collections of stagnant water. In a country where 3 million people still practice open defecation and around 61% of human waste is dumped untreated into urban rivers, lakes and oceans, it's no wonder that Zika has been able to have such a devastating impact in Brazil. Leo Heller, Special Rapporteur on the human right to safe drinking water and sanitation commented, "We can engine sterile mosquitos or use scientific Internet tools to map data globally, but we should not forget that today 100 million people in Latin America still lack access to hygienic sanitation systems and 70 million people lack piped water in their places of residence." Outbreaks of mosquito-borne viruses such as dengue have been widespread across South and Central America in the last few years, so what is it about Zika that has finally alerted people to the need to improve levels of sanitation and water for society's poorest communities? "Symbolically, microcephaly has a stronger impact", argued Edison Carlos, Executive President of the Tratas Brazil Institute. "It has a baby's face while dengue is abstract, it moves people less despite the high mortality rate." The spread of Zika highlights the need to adopt a holistic approach to basic sanitation, including adequate drainage, garbage disposal and encouraging people to turn over all containers, no matter how small to avoid the collection of standing water. 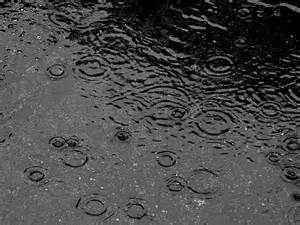 Another tactic in the fight against Zika is the installation of urban storm systems and rainwater catchment basis to reduce flooding. With the Olympics due to be held in Rio de Janeiro this summer, 2016 is certainly looking to be a busy year for Latin America's largest country. However, in light of this recent evidence about the spread of Zika, a challenge appears to have been set for the Brazilian Government to make it a priority to do whatever is possible to save the lives of some of its most vulnerable people. The latest evidence surrounding the spread of Zika only emphasises the importance of the provision of adequate water and sanitation facilities as a basic human need. Just ask yourself where would be without them!